The world – especially the United States and the devout supporters of Israel – most certainly DO stand disgraced, and have for some time. In the more than three week campaign against Palestine, the body count of Palestinians continues to climb. As of this morning, over 1,360 have been killed and more than 6,780 injured- the vast majority (over 70%) civilians. 59 Israeli’s have also been killed, three of them civilians. On Wednesday, during a four hour “humanitarian pause” announced by Israel, when Gazans were on the streets shopping in what they thought was relative safety, at least three air strikes or artillery rounds hit the crowded market in Shujai’iya, between Gaza City and the Israel border. At least 17 Palestinians were killed and over 200 were wounded in the attack. The most recent atrocity inflicted on the Palestinian people in the name of “Israeli security” is the shelling of a UN school housing sleeping Palestinian families in Gaza who had been forced from their homes. Imagine for a moment, that you are forced from your home by bombs and Israeli soldiers to a UN-sponsored shelter, only to be woken up in the middle of the night to Israel shelling you once again. The Guardian story tells of one mother, Amna Zantit scrambling to scoop up her three infants to safety. It is this heartbreaking and terrifying reality that the people of Gaza live with every day. At least 15 were killed, mostly women and children. Over 100 were injured. This was not an accident. Five shells struck the shelter. Now, with the unwavering support of the United States – a country who has been complicit in Israel’s war crimes for decades – Israel is doubling-down on its efforts to destroy the Palestinian resistance. Israel has called up another 16,000 reserves and received another shipment of ammunition from its good ole pals in the USA. In fact, the very same day that Israel launched ground troops into the Gaza strip, the Senate unanimously passed Senate Resolution 498 expressing support for Israeli defense forces. Israel and its supporters continue to inanely argue for Israel’s right to defend itself. “How can we be expected to stand by as Hamas launches rockets into our territory?” they cry. “How can we allow them to kidnap and murder our children? To threaten the lives of our civilians?” they moan. And yet, arguing for the right to Palestinian self-defense is branded as simple anti-Semitism. Of course, it is this narrative that has worked so well for Israel. They continue to stoke the fires time and time again: land-grabbing, forcible evictions, forcing Palestinians into an ever-smaller open-air prison, controlling their power supply and even the very water that is under their feet, and yet, Palestinians are expected to bow their heads and submit to their overlords as their very culture, history, sustenance, and families are being taken from them. We expect that Israel would not want to live under threat of danger, and yet we expect that Palestine will dutifully give up all autonomy and all safety in the name of Israel. Over and over again, we’re fed the same story. Israel plays the nice neighbor and Hamas the constant aggressor. This most recent offensive, we’re told, only started when Hamas kidnapped and murdered three Israeli teens in the West Bank. Not only is this entirely arbitrary (as Omar Baddar points out in Salon), it is also patently false. Israeli officials have now acknowledged that Hamas was not responsible for the teens kidnapping or murder – something that Israeli intelligence knew about as early as June 30th, directly contradicting what Israeli Prime Minister Benjamin Netanyahu has stated. This is, as Chelsea Manning so eloquently put it when discussing the Iraq War, asymmetrical warfare. To call what is going on in Israel and Palestine a “conflict” is to partake in the racist and blatantly false narrative that is being pushed by Israel. When one side fights with stones and homemade rockets, and the other side fights with a military backed by the full force of the United States military industrial complex, it is not a “conflict.” When civilian casualties – including hundreds of children – amass on only one side, it is not a “conflict.” When one side sets up with lawn chairs and popcorn to watch and cheer as their government bombs another country, it is not a “conflict.” When one side is not able to decide where they travel, does not control their own water supply, and are literally walled into an area, it is not a “conflict.” Israel is mowing the grass – killing citizens with impunity. This is apartheid. This is genocide. These are war crimes. Plain and simple. Read the names of the dead below (compiled by Naomi Wolf), and understand that this killing will not stop until we – as citizens of the world – demand that it ends and hold Israel accountable for this massacre. Mohammad Ahmad Matar al-Abadla, 32, Gaza. Yosra Salem Hasan al-Breem, 56, Gaza. Mohammad Khalil Mohammad al-Breem, Gaza. Eman Hasan ar-Roqab, Khan Younis. Bara’ Mahmoud ar-Roqab, 11, Khan Younis. Khalil Mohammad al-Najjar, 59, Khan Younis. 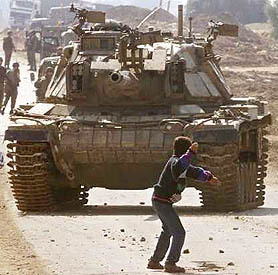 Ahmad Khaled Mohammad al-Najjar,14, Khan Younis. Eman Salah Mahmoud al-Najjar, 23, Khan Younis. Sumayya Harb Yousef al-Najjar, 50, Khan Younis. Kifah Samir Hasan al-Najjar 23, Khan Younis. Rawan Khaled Mohammad al-Najjar, 17, Khan Younis. 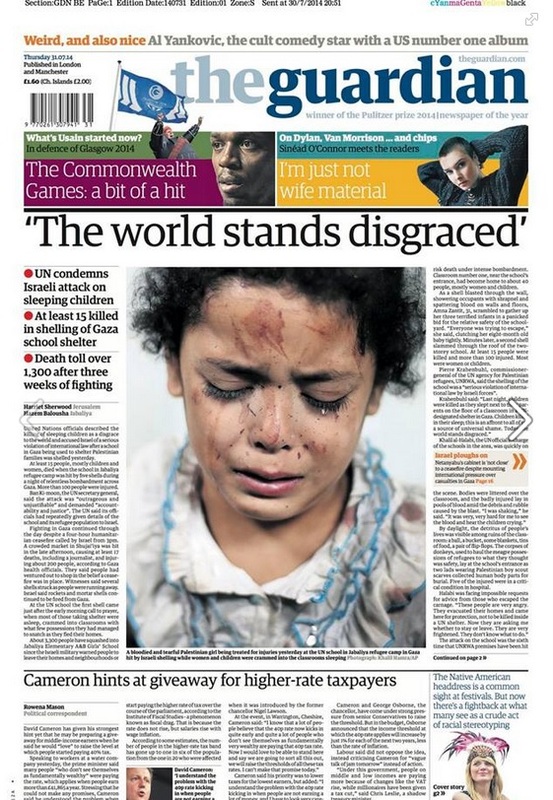 Moa’taz Hussein Samir an-Najjar, 6, Khan Younis. Ikhlas Sameer Hussein Abu Shahla, 30, Khan Younis. Amir Hammoudeh Khaled Abu Shahla, 3, Khan Younis. Amira Hammoudeh Khaled Abu Shahla, 1, Khan Younis. Abdul-Hamid Mohammad Abdul-Hamid Al-Maghrabi, 31. Abdul-Majeed Abdullah Abdul-Majeed al-A’ady, 36. Hamad Mohammad Ala Sheikh Salim, 30. Mohammad Rafiq Said al-Ayeer, 30. ‘Amro Abdul-Hakim as-Sheikh Khalil, 25. Shadi Kamal Ramadan Yassin, 22. Mohammad Issam Deeb Abu Dalfa, 25. Walid Said Nassr al-Ijlah, 7. Osama Issam Fawzi ‘Azzam, 23. Abdullah Ibrahim Abdullah Abu Leila, 51. Sami Fathi al-Ar-‘Eir, 49. .
Fathi Sami Fathi al-Ar-‘Eir, 20. Mohammad Ahmad Kamal Abu al-‘Ata, 29. Abdul-Karim Ali Abu Shanab, 40, Deir al-Balah. Aziza ‘Atiyeh Mohammad Abu Shanab, 77, Deir al-Balah. Ahmad Walid Nasrallah Samour, Khan Younis. Hasan Abdullah Mustafa al-Athanna, 59. Hasan Zaki Hasan at-Tahrawy, 23. Omar Ismail Ali Quz’aat, 18. .
Rami Faisal Matar as-Shishi, 31. .
Ghassan Yousef Salem Abu Dabakh, Central District . Khadra Ibrahim Salman Abu Bleimy, 55 . Nour Mohammad Salameh Abu Dbagh, 13. Ahmad Ramzi Mohammad Abu Qadoos, 13. Maisara Anwar Suleiman dar-Azzeen, 6. Mohammad Anwar Suleiman dar-Azzeen, 13. Mohammad Abdul-Hamid Mohammad Shaat, 29. Raja’ Hamad Mohammad ad-Daghme, 36. Sami Abdullah Ahmad Judeh, 18. Mohammad Ibrahim Sobhi al-Arheir, 30. Wala’ Mohammad Ali al-Qayedh, 15. Isam Mohammad Saleh Shamaly, 29. Mohammad Abdul-Nassar Ali Abu Zeina, 20. Mosab Salah al-Aab Abu al-A’ata, 20. Ibrahim Aish Abed Abu Ghneimah, 27. Ismail Aish Abed Abu Ghneimah, 24. Mohammad Ahmad Khaled Hassouneh, Rafah. Mazin Adnan Salman Abdin, 25, Khan Younis. Salah Eshtewy Ibrahim Adbin, 42, Khan Younis. Mohammed Salam Mohammed Abu Khousa, 75, northern Gaza (body pulled from rubble). Salman Mohammed Ahmed Sama’na, 62, northern Gaza (body pulled from rubble). Do’a’ Sani Ibrahim Sama’na, 11, northern Gaza (body pulled from rubble). Mohammed Sa’id Sha’ban Baba, 40, northern Gaza (body pulled from rubble). Ikram Ahmed Tawfiq al-Shanbari, 23, Beit Hanoun (body pulled from rubble). Sami Fathi Ahmed al-‘Ar’ir, 50, Gaza City (body pulled from rubble). Mohammed Rafiq Sa’id al-‘Ar’ir, 30, Gaza City (body pulled from rubble). Hassan Fathi Ahmed al-‘Ar’ir, 30, Gaza City (body pulled from rubble). ‘Abdul Karim Fathi Ahmed al-‘Ar’ir, 30, Gaza City (body pulled from rubble). Fathi Sami Fathi al-‘Ar’ir, 20, Gaza City (body pulled from rubble). Khaled Yousef Mohammed Badwan, 48, Gaza City (body pulled from rubble). ‘Abdul Rahman Ziad Hassan Abu Hain, 28, Sheja’eyya (body pulled from rubble). Mohammed ‘Essam Dib Abu Balta, 28, Sheja’eyya (body pulled from rubble). Mahmoud Ra’ed Mahmoud al-‘Eish, 23, Sheja’eyya (body pulled from rubble). Fadi ‘Abdul Qader ‘Abdul Malek Habib, 35, Sheja’eyya (body pulled from rubble). Adham Majed Yousef Dhaher, 18, Sheja’eyya (body pulled from rubble). Mohammed Mahmoud Rajab Hajjaj, 34, Sheja’eyya (body pulled from rubble). Mohammed Ahmed Kamel Abu al-‘Atam 32, Sheja’eyya (body pulled from rubble). Mohammed Mahmoud Sa’id Abu al-‘Ata, 28, Sheja’eyya (body pulled from rubble). Mohammed Riad Sha’ban Shabet, 25, at-Tuffah. Hisham Abdul-Karim Ahmad Abu Mour, Rafah. Mohammad Ibrahim Ahmad az-Zweidi, 30, Beit Lahia. Ala’ Maher Juma’ Tamtish, 19, Beit Lahia. Ehab Sa’dy Mohammad Nassr, 22. Wisam Sofyan Omar al-Kilani, 27. A’ed Mahmoud Ahmad al-Bura’i, 29, medic, Beit Hanoun. Munther Talal Abdul-Karim Nassar, 33, northern Gaza. Tamer Talal Abdul-Karim Nassar, 24. Ala’ Abdul-Rahman Mohammad Nassar, 25, northern Gaza. Taher Ismail Abdul-Rahman Nassar, 18, northern Gaza. Sharif Rafiq Mohammad al-Hamdin, 26, Gaza City. Ala’ Khaled Najib al-Yaziji, 21, Gaza City. Abdul-Hadi Salam Ahmad Abu Hassanein, 9.Rafah. Rasha Abed-Rabbo ‘Affana, 28, northern Gaza. Ali Mohammad Ali Asfour, 58, Khan Younis. Eyad Nassr Sharab, 24, Khan Younis. Tamer Bassam Mohammad Abu Kamil, 19, Al-Meghraqa. Hasan Hussein al-Howwari, 39, Gaza City. Husam Mohammad Najjar, Beit Lahia. Sha’ban Abdul-Aziz al-Jamal, Beit Lahia. Mohammad Wisam Dardouna, Beit Lahia. Ala’ Joudy Khader, Beit Lahia. Yazid Sa’dy Mustafa al-Batsh, 23, Gaza. Anas Hatem Suleiman Qdeih, 7, Khuza’a, Khan Younis. Amir Adel Khamis Siam 12, Rafah. Mahmoud Silmy Salim Abu Rowaished, 49, Rafah. Thaer Ahed Owda Shamaly, 17, Sheja’eyya. Mohammed Rateb Abu Jazr, 25, Khan Younis. Hisham Mohammad Farhan Abu Jazr, 23, Khan Younis. Mohammed Farhan Abu Jazr, 48, Khan Younis. Hasan Abu Hayyin, 70, Shejaeyya, Gaza. Abdul-Rahman Abu Hayyin, 26, Shja’eyya, Gaza. Ali Mansour Hamdi al-Bashiti, 1, Khan Younis. Mohammad Riyadh Sha’aban Shabt, 23. Ayman Adham Yusef al-Hajj,16, northern Gaza. Dror Khenin, 37, Erez military base, Tuesday, July 15th. Eitan Barak, soldier killed Friday July 18th while invading Gaza. Major Amotz Greenberg, 45, killed Sat. July 19th while invading Gaza. Sergeant Adar Bersano, 20, killed Sat. July 19th while invading Gaza. Second Lieutenant Bar Rahav, 21, killed Sat. July 19th while invading Gaza. Sergeant Bnaya Rubel, 20, killed Sat. July 19th while invading Gaza. Ya’er Ashkenazi, killed 7/25 while invading Gaza. Shon Mondshine, 19, Israeli soldier, killed while invading Gaza. Oren Simcha Noach, 22, Israeli soldier, killed while invading Gaza. Ben Itzhak Oanouno, 19, Israeli soldier, killed while invading Gaza. Daniel Pomerantz, 20, Israeli soldier, killed while invading Gaza. Shachar Tase, 20, Israeli soldier, killed while invading Gaza. Max Steinberg, 24, US citizen volunteering in the Israeli army, killed while invading Gaza. Nissim Sean Carmeli, 21, US citizen volunteering in the Israeli army, killed while invading Gaza . Tzafrir Baror, 32, Israeli soldier, killed while invading Gaza. Tsvi Kaplan, 28, Israeli soldier, killed while invading Gaza. Gilad Rozenthal Yacoby, 21, Israeli soldier, killed while invading Gaza. Moshe Malko, 20, Israeli soldier, killed while invading Gaza. Jordan Bensemhoun, 22, Israeli soldier, killed while invading Gaza. Yuval Dagan, 22, Israeli soldier, killed while invading Gaza. Tal Ifrach, 21, Israeli soldier, killed while invading Gaza. Nadav Goldmacher, 23, Israeli soldier, killed by Palestinian fighters in Israel. Yuval Haiman, 21, Israeli soldier, killed by Palestinian fighters in Israel. Bayhesain Kshaun, 39, Israeli soldier, killed by Palestinian fighters in Israel. Dolev Keidar, 38, Israeli soldier, killed by Palestinian fighters in Israel. Oded Ben Sira, 22, Israeli soldier, killed while invading Gaza. Ohad Shemesh, 27, Israeli soldier, killed while invading Gaza. Avitar Moshe Torjamin, 20, Israeli soldier, killed while invading Gaza. Dmitri Levitas, 26, Israeli soldier, killed while invading Gaza. Natan Cohen, 23, Israeli soldier, killed while invading Gaza. Paz Elyahu, 22, Israeli soldier, killed while invading Gaza. Li Mat, 19, Israeli soldier, killed while invading Gaza. Shahar Dauber, 20, Israeli soldier, killed while invading Gaza. Guy Boyland, 21, Israeli soldier, killed while invading Gaza. Barak Refael Degorker, 27, Israeli soldier, killed while invading Gaza. Liad Lavi, 22, Israeli soldier, killed while invading Gaza. Rami Chalon, 39, Israeli soldier, killed while invading Gaza. Amit Yeori, 20, Israeli soldier killed while invading Gaza. Guy Levy, 21, Israeli soldier killed in Gaza, apparently by other Israeli soldiers to prevent his capture. Roy Peles, 21, Israeli soldier killed while invading Gaza. Avraham Grintzvaig, 21, Israeli soldier killed while invading Gaza. Gal Bason, 21, Israeli soldier killed while invading Gaza. Narakorn Kitiyangkul, 36, Thai worker, killed by rocket fired from Gaza. Tags: accountability, apartheid, asymmetrical warfare, Ayman Mohyeldin, Bakr family, children, civilian casualties, conflict, disgraceful, genocide, Israel, Israel Palestine conflict, open air prison, Palestine, Palestinian people, United States, war, war crimes. Bookmark the permalink. It’s as if the United States is the gambler and the dealer, Israel are the Seattle Seahawks, and Palestine are a pee-wee squad compiled of mentally challenged, deaf, blind, and dumb four year old children. Sound fair? Easy money. Place your bets. Pingback: This is Genocide – On Israel/Palestine by Alyssa Röhricht | Israel Genocide?